Well-woman examinations, annual examination, health screening and education. Evaluation and management of gynecologic diseases, including abnormal Pap smears and pelvic pain. Benign diseases of female organs. Malignant diseases of female organs evaluation , diagnosis an treatment in partnership with an oncologist. Surgical gynecologic services include laparoscopic and hysteroscopic procedures as well as traditional surgery. Urogynecology evaluation and treatment of incontinence and pelvic relaxation. Colposcopy magnifying equipment to visualize the cervix in evaluating an abnormal pap. Leep treatment for abnormal cervical cells. Birth control counseling and services. Premenstrual syndrome evaluation, education and treatment options. Menopause evaluations, education and treatment options. Latisse is a topical eye lash treatment that creates longer lashes at 4 weeks with full growth at 16 weeks. It increases lash length, fullness, and darkness. PCA is a skin care line that produces visible results after just 2 weeks! PCA package is 100% customizable to your skin care needs. PCA Skin® is a leading edge skin care company that developed professional chemical peels and advanced topicals for over 20 years. PCA Revitalize Facial: This Oxygenating Facial stimulates oxygenation and circulation within the skin, rejuvenating sluggish, stressed or acne affected skin as it draws oxygen to the skin’s surface, resulting in an immediate radiant, healthy glow. It helps promote healing and rejuvenates sluggish, stressed skin depleted by toxins, pollutants, allergens, improper diet and solar damage. This treatment is ideal two to three days before a special event. It draws oxygen to the skin’s surface, producing a rosy flush and a rapid warming sensation, resulting in a radiant, healthy look that last up to ten days. PCA Revitalize Facial is safe for pregnant or lactating women. PCA Detox Gel Deep Pore Facial: This is an excellent choice for detoxifying all skin types. The active blend of lactic, glycolic and salicylic acids exfoliates, kills bacteria, reduces inflammation and removes excess cell debris to leave the skin hydrated, purified and clear. With its string antibacterial and antioxidant action, this treatment is a gentle, deep pore cleanser. This treatment includes steam and extractions. PCA Detox Gel Deep Pore Facial is safe for pregnant or lactating women. PCA Smoothing Body Peel: Smoothing Body Peel by PCA improves the appearance and texture of the skin with a combination of exfoliating, smoothing and brightening ingredients. It is the perfect solution for treating Keratosis pilaris (tiny bumps, usually on the upper arms & thighs) and Hyperkeratosis (thickening of the skin, usually on the bottoms of feet) It is also an excellent choice for promoting an even skin tone and clear complexion on the arms, legs, back, chest, hands and feet. PCA Skincare Kits : Kit-1 (anti-aging), Kit-2 (acne), Kit-3 (hyperpigmentation) and Kit-4 (sensitive skin). The kits come in both trial and full size. Call for a consultation to determine which kit meet your needs. PCA Advanced Medium Depth Chemical Peel: The most suitable candidate for this deeper peel is those with resilient skin who have sun damage, acne scarring or adverse to laser treatments. This treatment effectively treats aging skin, acne, pigment disorders and asphyxiated skin. This peel is an excellent alternative for those who cannot receive laser treatments due to pain tolerance, extreme sun damage, extreme skin sensitivities and certain medical conditions. The Icon laser treats stretch marks – the only FDA cleared laser for this treatment. It has the ability to provide quick treatment sessions as well as deeper penetration sessions to reach tough conditions such as scars (surgical and acne) and stretch marks. The Icon laser treats facial vessels and provides pigment clearance – clearing even the deepest facial vessels. The Icon laser treats unwanted pigmented lesions – commonly known as age spots or brown spots. 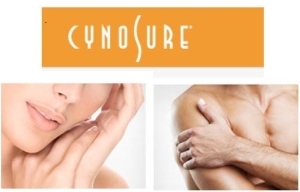 The laser treatment is ideal for the chest, arms and hands. The Icon laser provides permanent hair reduction on all skin types, including tanned skin. The advanced laser allows the removal of difficult to treat finer and lighter hair as well as quickly removes hair from larger areas such as the back, legs, and chest. The PelleFirm® System addresses almost any area of the body and is ideal for the abdomen, arms, buttocks and thighs and can be used on all skin types. Like Pellevé® the PelleFirm® is highly effective and delivers visible results with no pain nor downtime. The Pellevé® System removes benign moles and facial growths without replacing the mole with an unsightly scar. The advanced radiowave technology provides precise control of the degree of tissue removal and this approach minimizes the risk of scar formation. Botox® can take years off of your appearance by making you look rested, refreshed and relaxed. It has been used therapeutically for many years worldwide and WOMEN’S CARE FOR LIFE specifically uses it to decrease facial lines and wrinkles. A purified protein, BOTOX® Cosmetic is administered simply via a few tiny injections that temporarily improves the appearance of moderate to severe frown lines by decreasing unwanted muscle movements. Results are seen in 2-5 days and last up to 6 months. Typically Botox® is used every 3-4 months to treat frown crows feet (lateral to the eyes) & the forehead. Fillers are products that are injected into the dermis for immediate improvement of volume loss and wrinkles. WOMEN’S CARE FOR LIFE carries Juvederm® Ultra, Juvederm® Ultra Plus, and Radiesse to treat Nasolabial Folds (the lines that go from the side of the nose to the corner of the mouth), Marionette Lines (the lines that go from the corner of the mouth down to the chin/jaw), the vermillion border (lips), perioral lines, and forehead lines (worry lines). Local numbing is used prior to the placement of the fillers and results are immediate! Juvederm® Ultra: This is a colorless hyaluronic acid gel that is injected into fine lines, wrinkles, and lips in order hydrate the skin by holding water and acting as a cushioning agent. This is a naturally occurring sugar that can temporarily add volume and restore smoothness to the face. Juvederm® Ultra lasts for 5-6 months. Juvederm® Ultra Plus: Much like the Juvederm® Ultra, Juvederm® Ultra Plus is a hyaluronic acid smooth gel filler that instantly smoothes away fine lines and wrinkles around your mouth and nasolabial folds. Juvederm® Ultra Plus is a slightly thicker product that can more immediately fill deeper unwanted lines and lasts from 6 to 9 months. Radiesse®: Radiesse® is a dermal filler that immediately replenishes lost volume and can stimulate the production of lost collagen and thickness. It is for moderate to severe lines and volume loss as it is a resorbable implant. Results can last up to one year but can be placed every 9-12 months. An advanced skin resurfacing therapy intensely exfoliates and resurfaces the skin, a popular skincare treatment for complete skin rejuvenation. A fine jet of abrasive crystals gently removes dead skin cells layer by layer and a vacuum action lifts away the debris, stimulating the blood flow and encouraging collagen and elastin formation that results in firmer, revitalized and youthful looking skin. Wrinkles and acne scarring are reduced, dull and tired skin is completely banished with visible results normally after just one treatment. Recommended in a series of six for best results. This micro-oxygenating combination is the supreme antioxidant treatment. Begin with Microdermabrasion exfoliation to slough away dead skin cells and increase product penetration by 100%. Then follow with PCA advanced three step cocktail of powerful antioxidants, enzymes and botanicals increasing circulation underneath the skin, detoxifies, and delivers oxygen deep into pores to rid the skin of pollutants and toxins, promoting a glowing and radiant complexion. Get the ULTIMATE benefits of either our Radiant Glow Facial or our Essential Clarifying Treatment by combining and alternating these services with Microdermabrasion Treatments. These packages of six will alternate three microdermabrasion treatments with three treatments of either Radiant Glow Facial or Essential Clarifying Treatment depend on the package you choose, resulting in the Ultimate results in firmer, revitalized, clearer, younger looking skin. Aromatherapy brings the power of touch and smell which can in turn have a therapeutic effect on the body. Our Aromatherapy Stress Relief Massage (Head, Neck, Shoulder, Hand & Arm) is an all-natural, holistic therapy for reducing pain, promoting healing, and increasing well-being providing the body with wonderful benefits, including mental relaxation, stress relief and muscle relaxation. Enjoy a package of three massages. The package is also available during pregnancy after First Trimester. Add a Hand and Arm Massage to any PCA Facial Treatment or Microdermabrasion Service. Come pamper and relax yourself with our New Mommy to be Package! This package includes our popular Revitalizing Oxygenating Facial, Detox Gel Deep Pore Treatment and all New Aromatherapy Stress Relief Massage. These relaxing pregnancy safe treatments will help keep blemishes under control, balance your complexion, revitalize and amp up your glow during pregnancy. This package of three services is also available during pregnancy after First Trimester. 1. The first step addresses discoloration and facial veins using an Intense Pulsed Light (IPL) technology. 2. The second step addresses wrinkles and fine lines using a “microbeam” laser technology to stimulate collagen and elastin production – the keys to the support structure of our skin. Take advantage of one of the most advanced skin care machines in the Aesthetics world today. Get your confidence back with smoother younger looking skin. Leave with firmer, refreshed more youthful looking skin and a Princess glow that will last all day. Stop covering up unsightly spider veins and broken blood vessels, or Age/Brown Spots. Revive your skin with this six session combo treatment of skin tightening and pigment clearance. This amazing combo treatment has 2 exciting options to choose from. Lighten Tighten and Tone combines multiple compatible treatments in a session. The package consist of six sessions. 1. 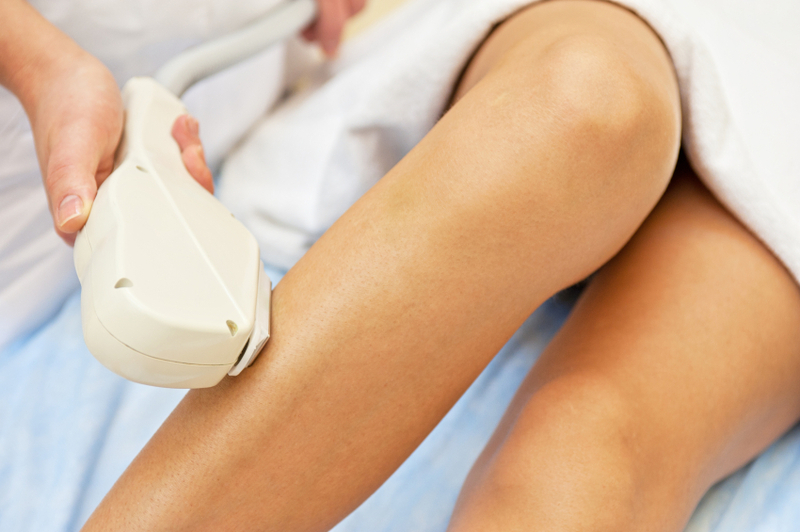 The first, third and fifth treatment – Choose to target your Discoloration and sun damage OR target and destroy the blood vessels responsible for visible veins by using an Intense Pulsed Light (IPL) technology. 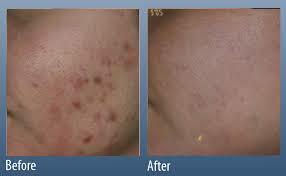 Discoloration – Advanced laser technology is used to target your unwanted sun damage and brown spots. Watch your damaged skin slowly disappear through your body’s natural healing process, revealing clearer, more beautiful-looking skin. Facial Veins – Watch your Facial Veins visibly disappear. Advanced laser technology is used to target and destroy the blood vessels responsible for veins. The laser targets the blood vessels within the vein, therefore there is minimal or no damage to the outer layer of skin. 2. The second, fourth and sixth treatment will target your fine lines and wrinkles using our advanced Pelleve machine. Using radiofrequency energy there is no damage to the epidermis, or top layer of skin. The heat causes the existing collagen in your skin to contract and tighten resulting in an improvement of wrinkles and skin laicity, helping your skin to produce new collagen even after your treatments. During and after a course of 1-6 treatments you will see continued improvement in the skin’s appearance. When treating facial veins you may see results immediately after the treatment. If targeting Age/Sun spots, darkening of the brown spots may appear. Over the next one to three weeks these spots will flake off leaving you with a vibrant appearance. Lastly, over the next six months, as your skin naturally responds to the treatment you will see progressive results on any fine lines, wrinkles. See what package is right for you! Call our office today for a free consultation! Reward yourself with a treatment from one of the most pronounced Lasers in skin care history. Rejuvenate your skin back to life, revealing a smoother, youthful more even-looking skin. Are you tired of wrinkly, splotchy, saggy facial skin? Target those unwanted wrinkles, uneven skin tones and textures. Stop hiding your face with makeup and pamper yourself with this 6 treatment combo that will ignite your skin and give you a more youthful look. Rejuvenate Ignite and Refine combines multiple compatible treatments in a session. The package consist of six sessions. 2. The second, fourth and sixth treatment will target fine lines and wrinkles and smooth out the texture of the skin. Advanced laser technology is used to target and break down old collagen and help your body’s natural healing process to begin building new collagen. Thus, smoothing, tightening and firming the skin. Call our office today and see what package is right for you! Dr. Kendrick is amazing, so glad I was referred to her. Could not pick a better Doctor. The staff is all so friendly and inviting. Such great welcoming staff and office!